I love light yellow and royal blue together. 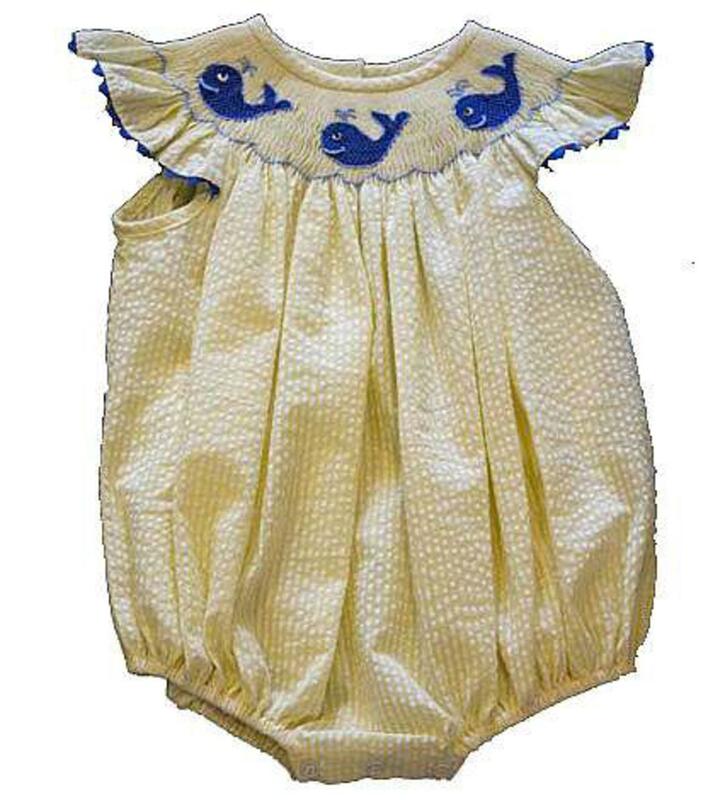 The light yellow and white seersucker bubble is adorable with the three handsmocked whales on the neckline. The angel sleeves have a blue zig zag trim to them. There is buttons on the back to get on/off easily and snaps on the inside of the legs to accomodate diaper changes. This adorable outfit is 100% cotton.